We're officially on the move! 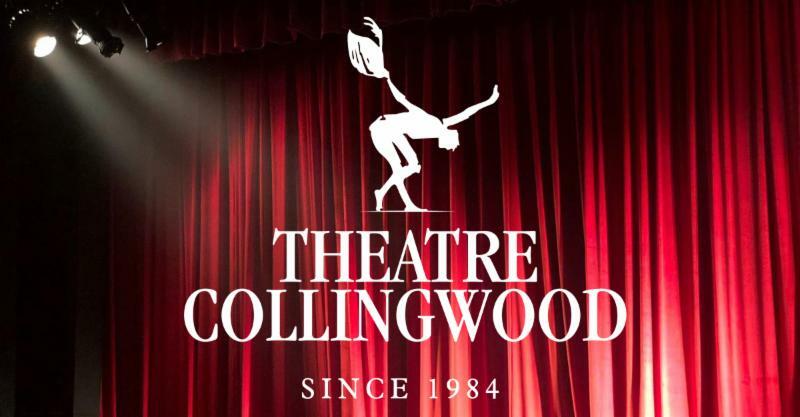 Theatre Collingwood is on the Move! The Gayety Theatre has been home to our productions for the past 15 years. Up until last year the rental rates, while higher than most small theatre companies pay for similar space, were still affordable. Last year our rate increased by 42% and we reluctantly agreed to the increase. At the same time our chair and the Gayety owner, Sid Dickinson had a verbal agreement that any increase over the next five years would be equal to the rate of inflation. This year, with an additional $2 per ticket fee (if we sell more than 150 tickets), our rental for a five-day show would be over $11,000.00, an increase of 69% in one year and almost two and a half times what we paid in 2016. We always strive to make our tickets as affordable as possible. The rental of the performance space already constitutes a large portion of the ticket price. This increase in the rent of the Gayety would have resulted in a significant increase in our ticket price. Your board has faced significant pressures over the years about the lack of accessibility at the Gayety. Last year, the building owner confirmed in writing that he would have a lift installed in the front entrance providing access for all. Despite written assurance, no lift was installed. Prior to removing a number of seats and adding the lounge area, our patrons with mobility challenges were able to access the washrooms. The new configuration does not accommodate anyone unable to climb stairs. The increase in the rental rate made it easy for your board to take the right decision and move our performances to accessible spaces. Our sold out “Girls Night Out” show was successfully moved from the Gayety to the Normandy Room (adjacent to the Collingwood Legion). We were forced to make this move as the rental contract we were offered was more than double what we paid last year for a one-night show. Our patrons at that show were very positive about the location and many stated that it was superior to the Gayety. We are currently working on alternate locations for our shows. Rest assured that all of our shows will happen as planned at appropriate locations. 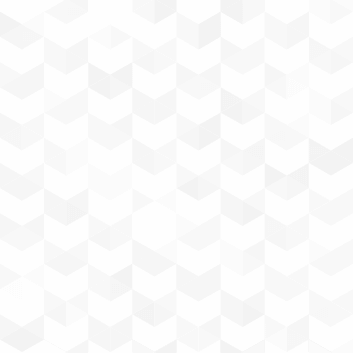 We will have details in the next few weeks. Some may happen outside of downtown Collingwood and we realize that this may be an inconvenience to some of our patrons. If this occurs, Theater Collingwood will provide complimentary buses to shuttle our patrons from Collingwood to and from the new venues. As an indication of the difference between what we would have paid at the Gayety and the cost at other equivalent or superior performance spaces, we would still be financially ahead after paying for buses. When our new locations are confirmed, we will be informing all of you and especially those of you who are holding tickets for the shows. In all cases we will endeavour to provide equivalent seats. 2019 will be an exciting season as we provide live theatre at new exciting locations. We know you will support us, as you always have, as we embark on a slightly different course. Have You Reserved Your Seats for our Next Production? Thank you Becker Shoes and the Hearn Beaumont Group, our amazing Supporting Sponsors of ONE STEP AT A TIME! ONE STEP AT A TIME is the lift you need after a long Canadian winter! 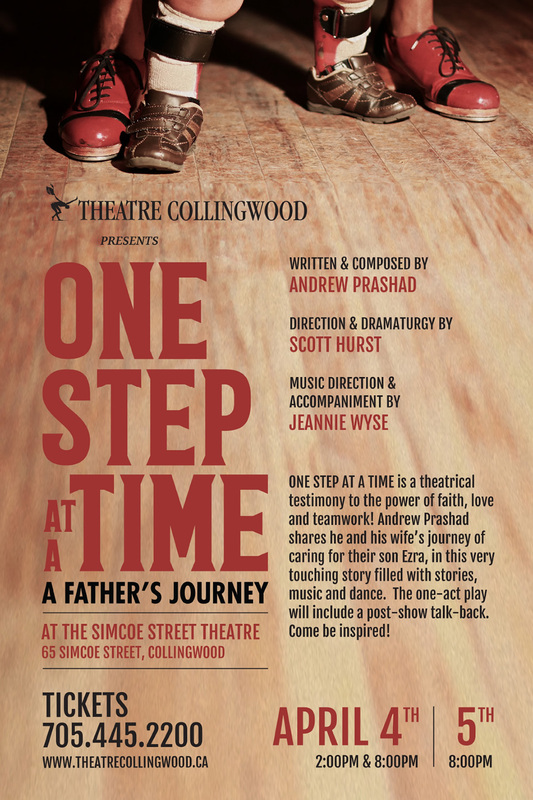 This show is a theatrical testimony to the power of faith, love and teamwork in which Andrew Prashad shares the journey of caring for Ezra – his family’s remarkable, special-needs boy. Andrew Prashad is a multi-disciplinary artist and he's quickly becoming one of the leading tap dance artists in Canada. He's an award-winning actor, composer and writer who was a featured on the 20 th Anniversary World Tour of RIVERDANCE. Among many other credits, Prashad performed in ANYTHING GOES with Drayton Entertainment and the world premiere of Mira Nair’s MONSOON WEDDING musical at the prestigious Berkeley Rep Theatre. Tickets are Now on Sale for our Un-Gala! Georgian Bay Hotel and Conference Center. There are many elements to this wonderful evening that brings hundreds of theatregoers together to celebrate the arts in South Georgian Bay. This year we are going all out to have a rocking good time and breath fresh air into our annual event, which is why we're calling it an Un-Gala ! 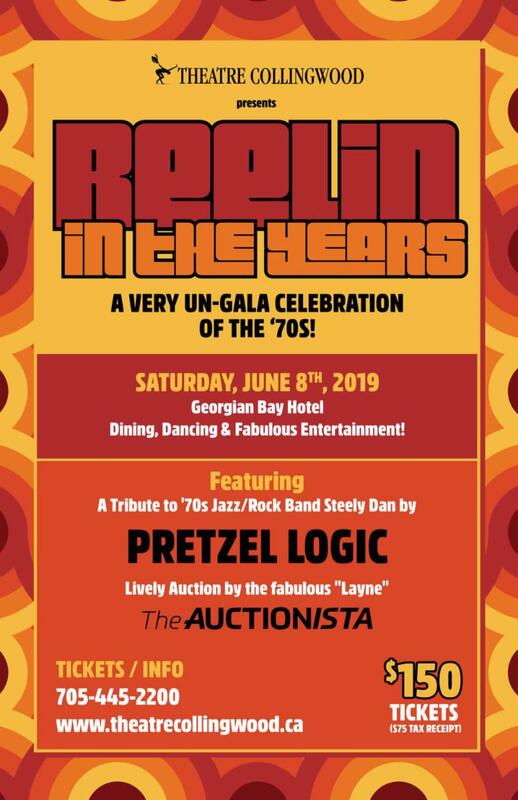 Pretzel Logic is a 10-piece band that will perform throughout the night! A gourmet dining experience will be curated for our guests and our live auction is hosted by Layne, The Auctionista ! We have many fun surprises and 50% of each ticket is a charitable donation, so everyone gets a $75 tax receipt! You can order Gala tickets by phone or visit our Box Office .